He received his PhD in American History from Cornell in 1976 and has been an administrator and teacher at Cornell since 1981. He is the co-author, with Faust Rossi, of Ten Great American Trials (to be published by the American Bar Association in 2016). He is the author or co-author of ten books and one thousand essays and reviews. In addition to his scholarly essays, he has written for American Heritage Magazine, The Australian, The Baltimore Sun, Barron’s Financial Weekly, The Boston Globe, The Chronicle of Higher Education, The Florida Courier, Inside Higher Education, The Jerusalem Post, The Kansas City Star, The Los Angeles Times, The Minneapolis Star Tribune, The Moscow Times, The New York Observer, The Philadelphia Inquirer, The Pittsburgh Post-Gazette, The Portland Oregonian, The San Francisco Chronicle, Tulsa World, NPR’s Books We Like, CNN.com, and Forbes.com. His op-eds and book reviews appear regularly on The Huffington Post, and Psychology Today. The National Book Critics Circle has cited his work as “exemplary.” Psychology Today has featured it as “essential reading.” For four years he wrote a column for the Education Life section of the New York Times. He was a regular panelist on national and international affairs for the WCNY television program The Ivory Tower Half-Hour, from 2002-2005. 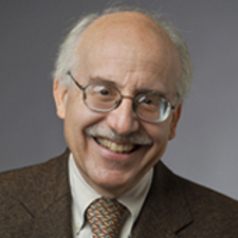 Glenn Altschuler has won several awards for teaching and undergraduate advising at Cornell. He is the recipient of the Clark Teaching Award, the Donna and Robert Paul Award for Excellence in Faculty Advising, and the Kendall S. Carpenter Memorial Award for Outstanding Advising. He is a Weiss Presidential Fellow. Altschuler has been an animating force in the rapidly growing program in American Studies, teaches large lecture courses in American popular culture, and has been a strong advocate on campus for high-quality undergraduate teaching and advising.